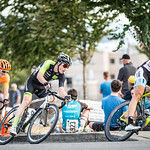 Ketler cut past Rally Cycling’s Eric Young, who’s been superb at BC Superweek thus far with four wins and six straight podiums, and Florenz Knauer, himself appearing on five podiums in six races this week. Heading into the final corner, the 29-year-old Knauer thought he had the win. 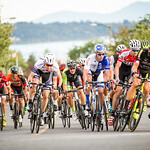 The second-place finish is the third straight for Knauer after coming in the same position in Thursday’s Giro di Burnaby presented by Appia Developments and Wednesday’s Global Relay Gastown Grand Prix. 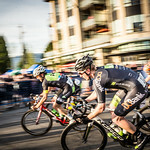 Friday’s race was the first ever twilight criterium in BC Superweek history, and the Hermann Radteam rider was impressed. “It was awesome, the crowd was especially great here and it was a lot of fun. The lighting was perfect, the crew did an amazing job as always,” said Knauer, the owner of 34 top-10 finishes at BC Superweek since 2013. 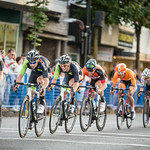 The last ten laps of the 50-lap circuit were animated by the Marc Pro Cycling p/b Gym One team, which at one point had an aggressive lead out of four riders off the front. In the end, it was Sacramento, California’s William Myers coming in third place. “We came in with one plan and that was to take the front with about ten to go and just ride it as hard as we could. I’m just happy I could get on the podium in the end and have a good race,” Myers explained. 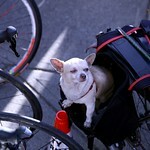 “I was maybe seventh wheel with two corners to go. I just opened it up on the inside, came by a couple of people, maybe fourth wheel into the last corner and just had a little more momentum than Eric did and got on the podium,” he said. 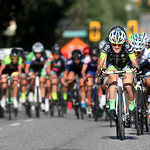 There’s something in the air in Canada that agrees with Team TIBCO – Silicon Valley Bank rider Kendall Ryan. 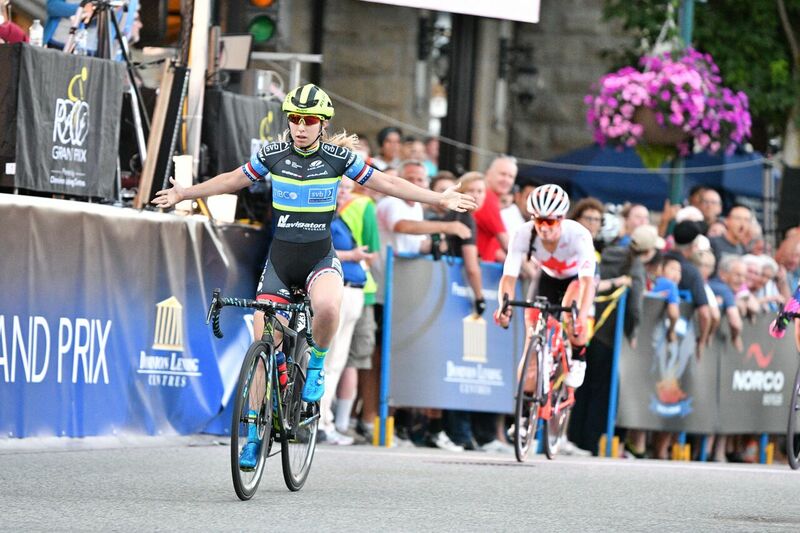 The 25-year-old from Ventura, California is nearly unstoppable at BC Superweek this year after she sprinted to win the PoCo Grand Prix presented by Dominion Lending Centres on Friday night. It’s her fifth win at the series and sixth podium in seven races – plus she’s won nearly $20,000 in prize money. She used a tactic that’s been successful for her earlier in BC Superweek, where she bided her time during the race and set up for a bunch sprint on the final lap. “Rally Cycling’s been kicking our butts this entire week, we’re all really tired and there’s only three of us. 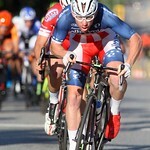 I was pretty tired yesterday, so I tried to ride smart and my teammates were relentless in covering everything, being really smart about their energy,” said Ryan. 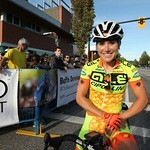 Vancouver’s Sara Bergen, who rides for Rally, came second for her third podium in four races at BC Superweek. She knew all too well how dangerous Ryan would be on the final lap. 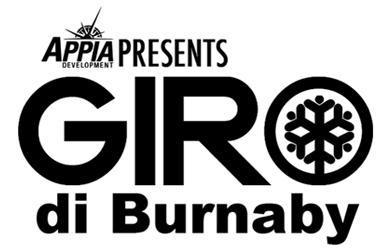 Maple Ridge, BC’s Maggie Coles-Lyster came third and it’s her second straight podium after finishing runner-up at Thursday’s Giro di Burnaby presented by Appia Developments. It’s also her second straight year on the podium in Port Coquitlam after coming second a year ago.